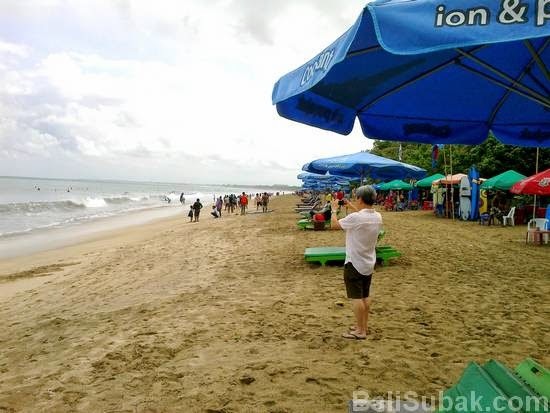 Kuta Beach pictures taken in June 2014. Picture taken after the rain occurred on the beach. Sand looks very wet, so it looks a bit brownish. When in fact the color of sand at Kuta Beach is white. 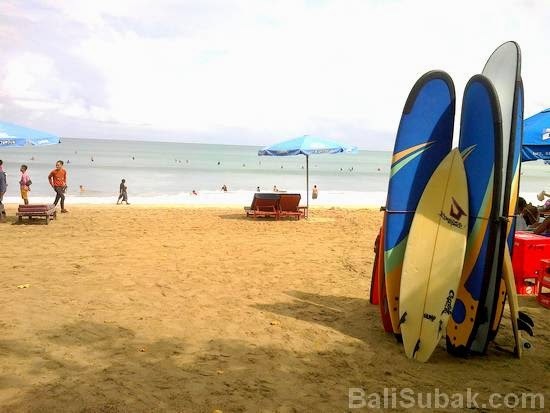 Rent surfboards are very much in Kuta Beach, with various sizes. For the children are also provided. 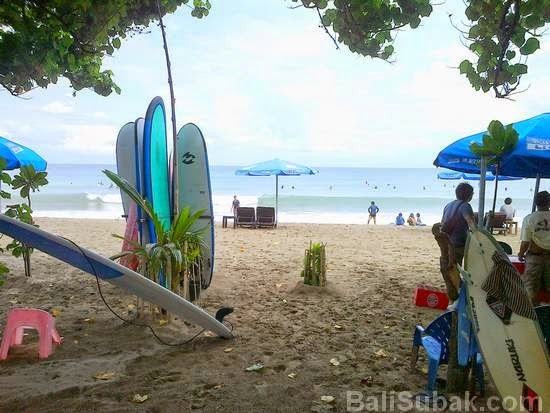 So if you want to learn to surf this beach, there are instructors who will help you, of course at an additional cost. 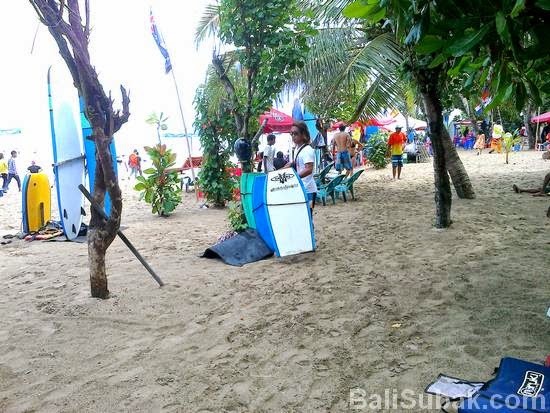 When ocean waves at Kuta Beach is not too large, there is a flag that signals that the kids can play at the venue. Marker flag waves and ocean currents, as a warning to travelers to be careful while in the water. Because Kuta Beach belonging to the beach pretty dangerous for children. Many drinks sellers around the coast, most of them sell local beer. There is also a souvenir sellers, and snacks to the visitors. 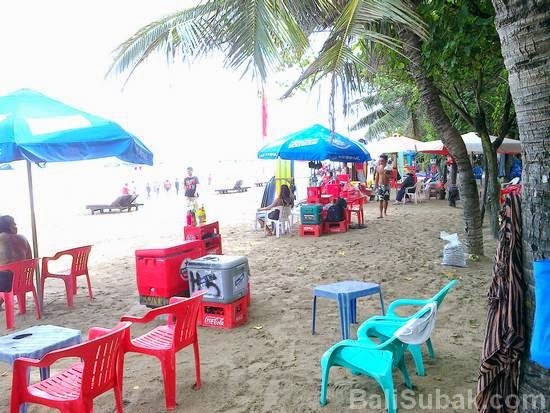 When you buy a bottle of beer, you will be given a seat to relax while looking at the beach atmosphere, accompanied by the local residents are very friendly to you. 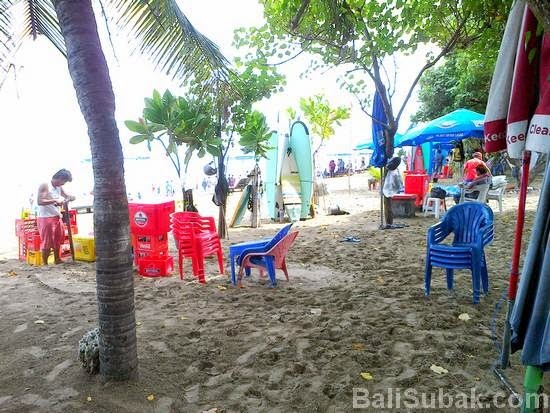 Along the coast, at Kuta Beach, a lot of reserved seating to lie with a large umbrella. So, if you feel the heat, you can rent the shelter seat. The rent prices vary widely, depending on how you are good at bargaining.